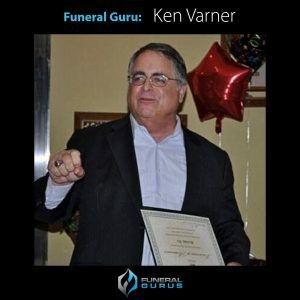 Ken Varner of Cypress LawnÂ Â Funeral Home & Cemetery in Colma, California shares his thoughts about how funeral homes and cemeteries can work together. Ken’s experience is from their combination operation at Cypress Lawn but he explains how stand-alone funeral homes and cemeteries can work together to achieve the same result. He lets attendees know what they will take away from his presentation,Â “Funeral Home & Cemetery Synergy: Success Strategies for Combo Firms and Stand-alone Funeral Homes and Cemeteries”Â at the 2013 NFDA Annual Convention. Interview byÂ Robin Heppell,Â CFSP.